What a great “day off”! The Tusker Safari Sevens was such a fun way to spend a Sunday. 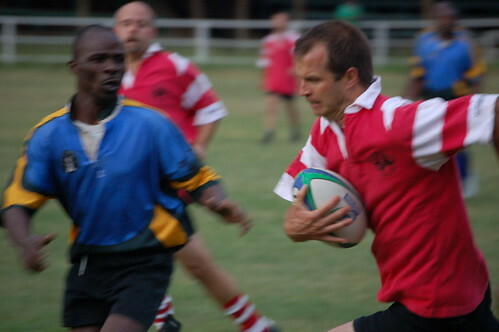 Taking sports photographs is one of my favorite things, and rugby is the best sport to do it in – so much action. I ended up wandering around like a press photographer, even climbing up the tower to get some unique views. It’s the “Tusker” Safari Sevens, but I guess they don’t sponsor it well enough to also sponsor the team – they are sponsored by Virgin. 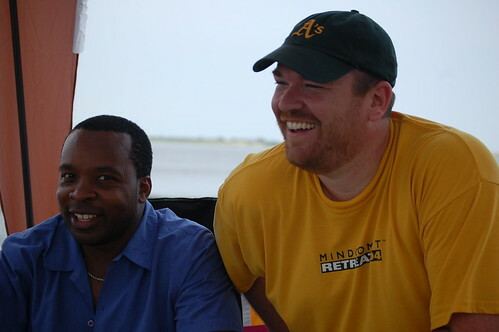 In fact, I hear that it might not be called the Tusker Safari Sevens that much longer – too bad. I like that name, Kenyan beer and an internationally recognized Kenyan tournament, it’ll be sad to see it go. This year brought in the world champion 7’s team from Fiji, as well as the French team. The emerging ‘Boks (South Africa’s team) were there as well, and they’ve won the last 3 years. Kenya ended up having to beat Fiji (which rumor says, each player would get 50,000/= shillings if they did). Kenya won narrow, and hard fought, games against Fiji and Zimbabwe to get to the final. Meanwhile, the Emerging Boks smeared their competition on their way to meet Kenya. Honestly, I thought Kenya would have a hard time in this game. Instead, they blew the doors off with 2 quick tries, and never looked back as they won 31-12. 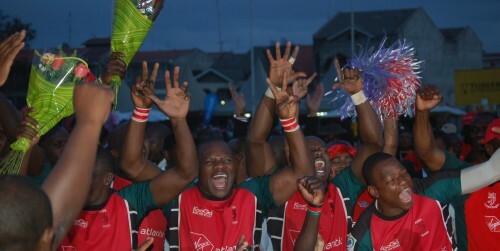 Of course, the crowd was rowdy as ever, singing familiar Kenyan rugby chants and getting drunker by the hour. Prime Minister Raila Odinga showed up mid-afternoon, to much fan fair and noise – a politically savvy move. All in all, it was a fabulously good time that I hope to see again next year. AfriGadget makes the Time.com list of “Top 50 Websites of 2008“. Completely unexpected, and thrilling to see. Thanks to all the editors like Steve, Juliana and JKE too. Met up with an incredibly talented mobile phone application creator, Steve Mutinda, (J2ME) with two very cool mobile phone apps. Full video interviews on him too, and have just posted the first article. Got together with some local Kenyan tech guys and we’re hacking away on a BugLabs BUGbundle, trying to get a cool app up and running on it by Barcamp Nairobi this weekend. Posting pictures on that soon. Redid the Ushahidi wireframes, and meeting with some local developers to help build version 2 with us. Got some neat stuff up our sleeves, and one big surprise for Saturday’s Barcamp. Went and watched a lot of rugby (Pictures are up at Flickr), including Quins vs KCB, RVA vs Mang’u and the Safari Sevens veterans. I love rugby season, only wish I could play too. 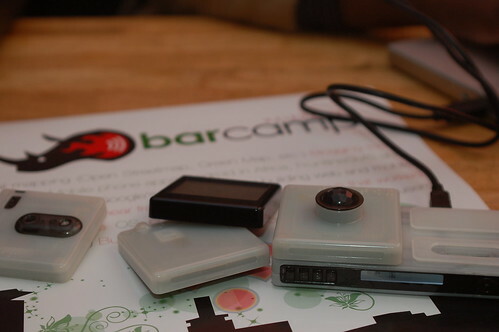 Finally, the windup to tomorrow’s Barcamp Nairobi is at an end. Thanks to Google Kenya, Strategiclee, the Kenya ICT Board and Ushahidi for sponsoring it. We’re all set and ready to roll at the Jacaranda Hotel (Pizza Garden side). Should be a blast, and there will be a lot of pictures and posts to come.